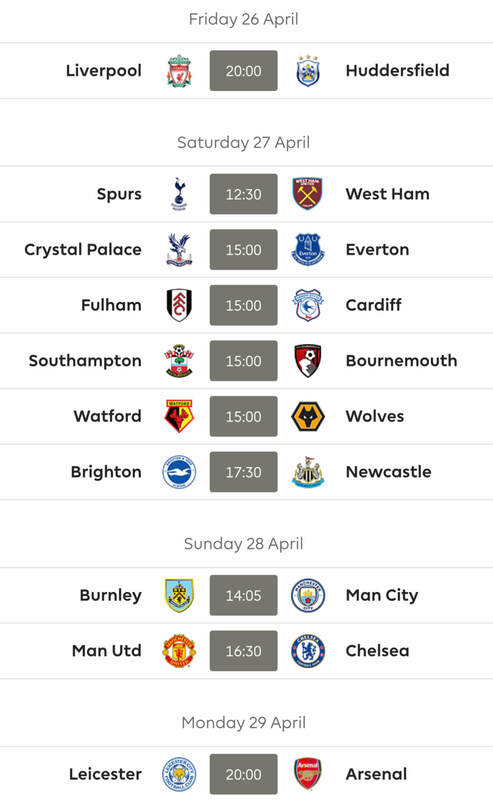 As for this GW we begin on Friday and end on Sunday with the majority of the games on Saturday for a pleasant change. Wolves and Liverpool kick us off this evening as the current league leaders look to put the pressure on their chasers by extending their overnight lead to 4 points over Man City. Saturday begins with many an FPL manager sweating over the Arsenal line-up as they play host to an ever increasingly tight Burnley side. 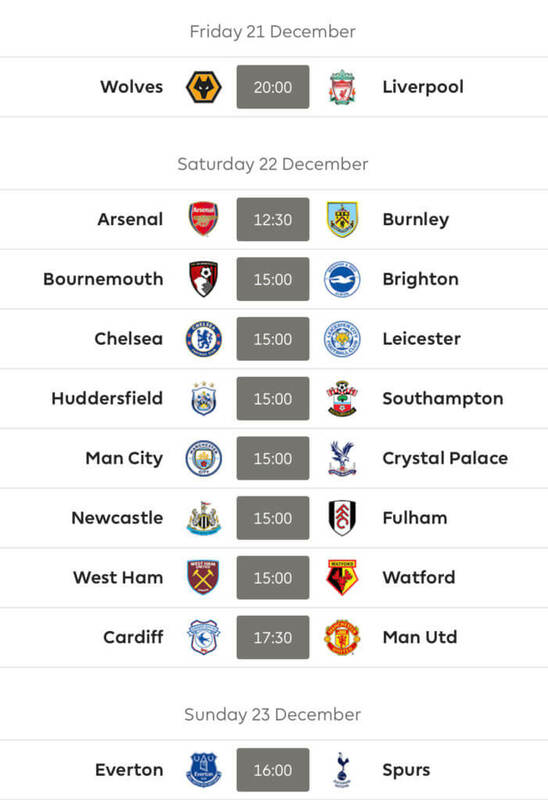 Six 3PM kick-offs follow with Bournemouth and Brighton both looking to regain some sort of form, Chelsea hoping to continue their own pursuit against Leicester, Huddersfield look to stop the new beer flowing against the Saints, Man City probably playing catch up against Palace, Newcastle hoping Mitro doesn’t come back to haunt them and West Ham look for 5 wins in a row for who knows how long as they host Watford. Saturday evening could be intriguing as Cardiff look to take 3 points off fellow strugglers Man United. Our only game on a barren Sunday is Everton vs Spurs. Harry Kane may not know it but this could be his final rehearsal for many FPL managers, especially if Kun shows up on Saturday. 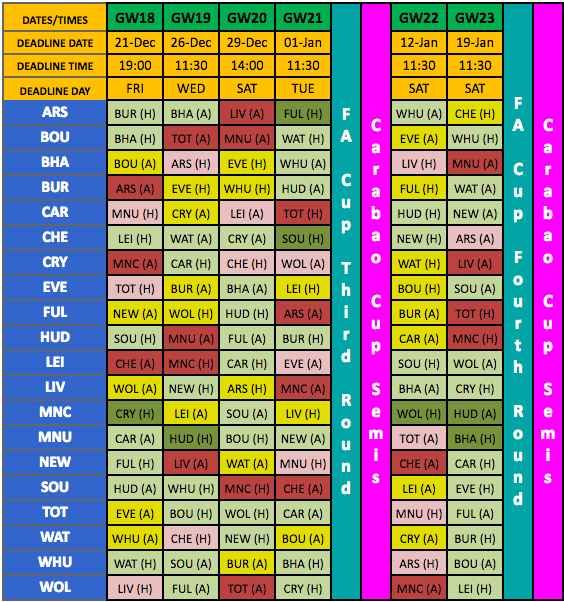 Good luck to absolutely everyone for Gameweek 18 from all at FF247! 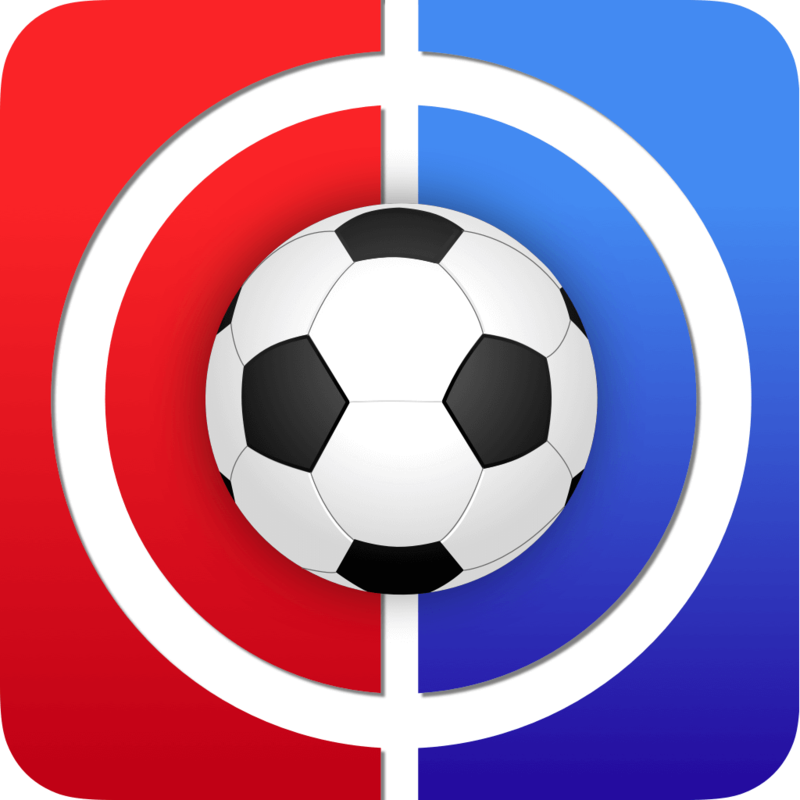 Thanks for reading Fantasy Football Live Match Chat Gameweek 18. Cheers Swirly lad, enjoy the festivities! SAF’s – given as you’re online, I’m still intrigued… ?! Ha. I was commenting how weird it is that the pressers for the next GW we’re going on before the West Ham game of the week before. Somehow put that comment on the page for the wrong GW. Too many beers and not enough sleep! Ah, ok. Sort of makes sense then, in context!